Copperas Rock, Trough Creek State Park. 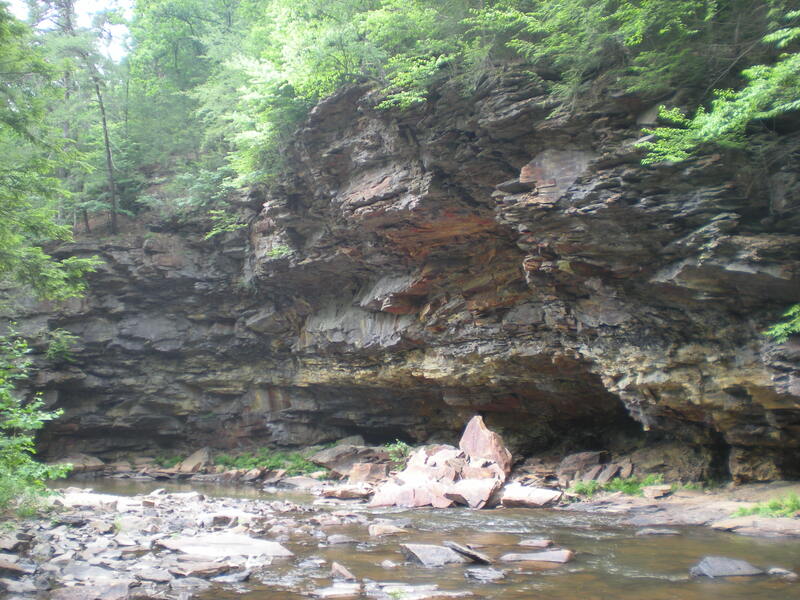 Pennsylvania has some beautiful natural areas, most of which are protected as state parks or forests. Melissa and I have a seriously skewed meter when it comes to hike difficulty ratings. It being our day off from a week of camp, Melissa and I decided we wanted to experience some of the hiking PA has to offer. So, we headed to Trough Creek State Park where we had heard there were some interesting trails to be had. Thanks to Google Maps, we made it there in one piece. After we got in the car, we were able to finally get a good look at the map; the trails that were said to be so intimidating were drawn using a scale of about 2 inches for every half mile…not quite as impressive. 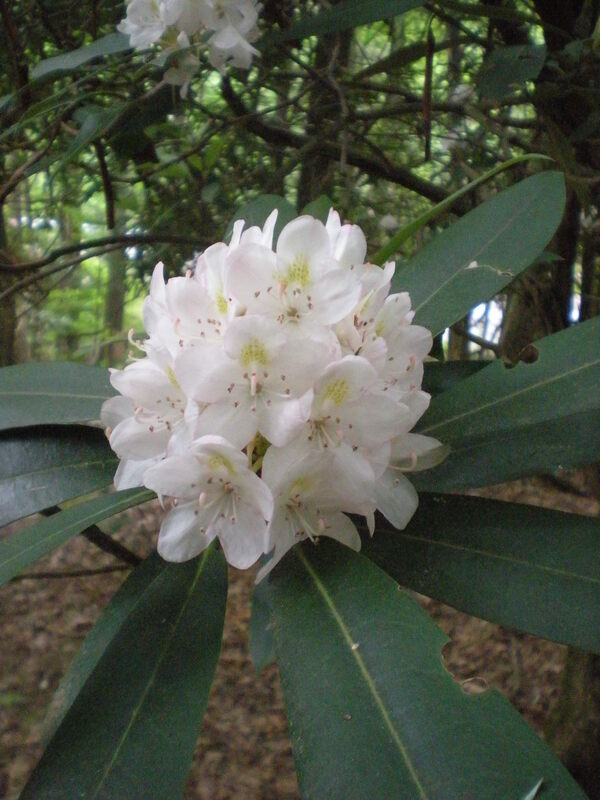 We chose The Rhododendron Trail (and the rhodies were in bloom too–absolutely beautiful), which was one of the difficult trails. The trail started at a place called Coppernas Rock; there is a picture at the top of the post. A very impressive limestone and sandstone rock formation. The stream that ran along the base looked great for swimming in, even though some people didn’t get this and decided to fish in it instead. I have to admit, I was a bit impressed by this. The sense of foreboding returned, even if it was somewhat diminished from before. We made it to Balanced Rock, a huge boulder precariously poised on the rim of the canyon. It looked like a good push would send the whole shebang down on whoever happened to be fishing in the river below. 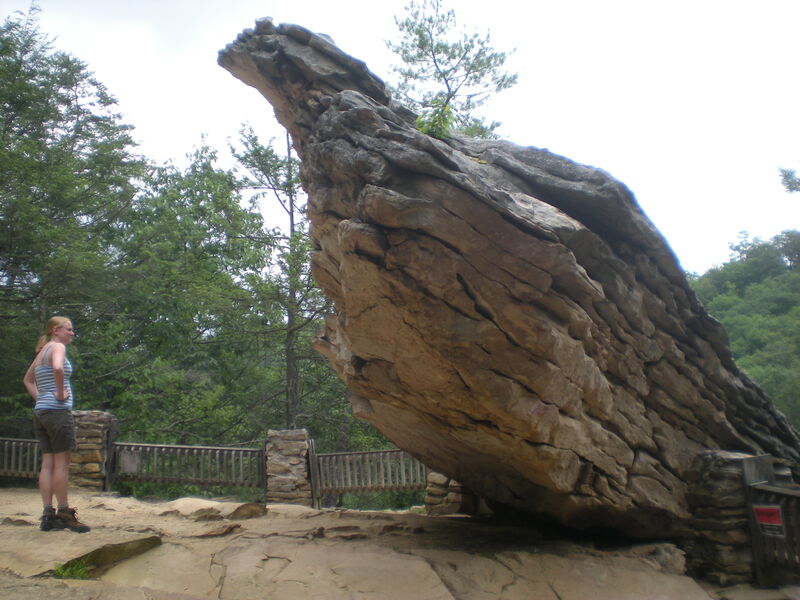 Melissa and I made it to Balanced Rock after a the aforementioned 25 minute hike (moving slowly, mind you). The PA Department of Natural Resources (State Park Service) must have known I was coming. 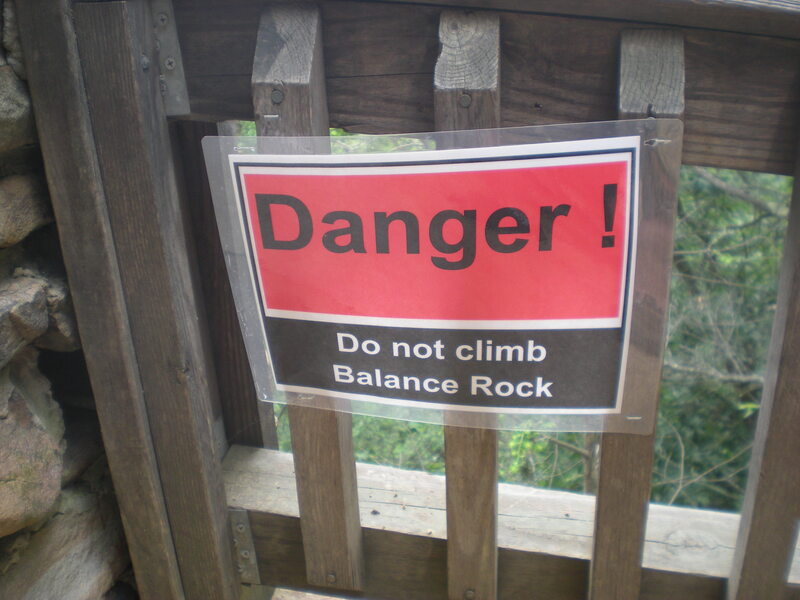 After seeing pictures of the rock, I thought that climbing it would be a lot of fun; well, the PA DNR quashed that idea. Helpfully posted beside the rock was a nice little sign. “NO CLIMBING!” We stood around and took pictures for a bit instead. Even though the hike up was somewhat disappointing (in terms of difficulty and length), it was still a cool spot. As we were preparing to leave, a family struggled to the top of the small mountain Balanced Rock is located on. One of thier sons took in the teetering boulder, and announced to everyone within hearing range “Its HHUUGGEE!!!! !” Made my day. 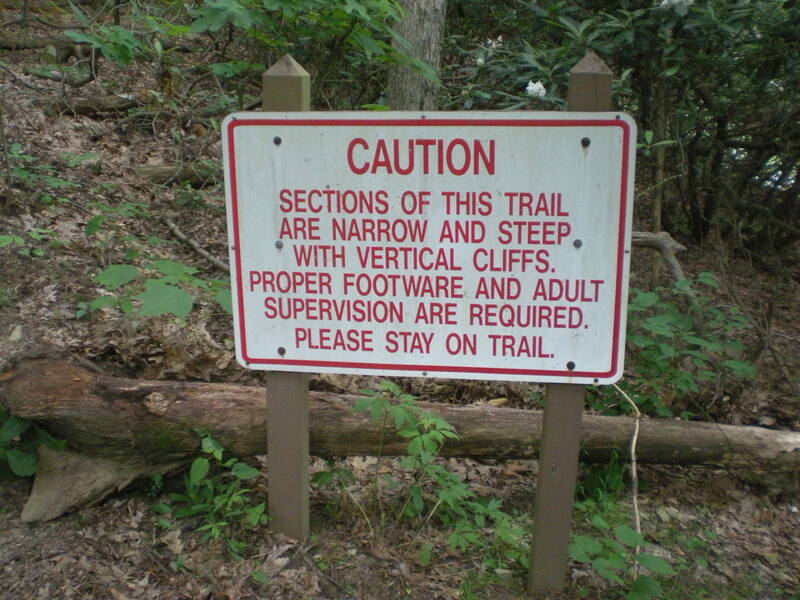 I make fun, but the hike was great, the trails were well marked and maintained, and the park itself was very very good. Butterfly falls would have been impressive except that there was barely any water flowing over it; it is late June after all, and I get the idea that the annuel rain pattern here in PA is not much different from Virginia. We also swam in the river, which was delightfully freezing (though Mel believes it not to be as cold as the mountain streams down south). After talking it over, we were able to come to a bit of a conclusion about why a “hard” trail seemed so easy to us. When we think of “hard” trails, we think of places like Old Rag, or long sections of Appalachian Trail with heavy packs. When these types of hikes occupy the hard part of your difficulty spectrum, it throws the rest of your scale off. We’d go back. We’re looking forward to visiting other State Parks as well. Wild GUYde is on Facebook! Well, looks like Aaron and Dad have gotten their heads together and have created a Facebook page for the family business, Wild GUYde Adventures! Check it out! I knew this, but Josh’s little status on Facebook reminded me. Harrisonburg has been designated an official Appalachian Trail Community by the Appalachian Trail Conservancy! I just want to take a moment and say how wonderful this is. 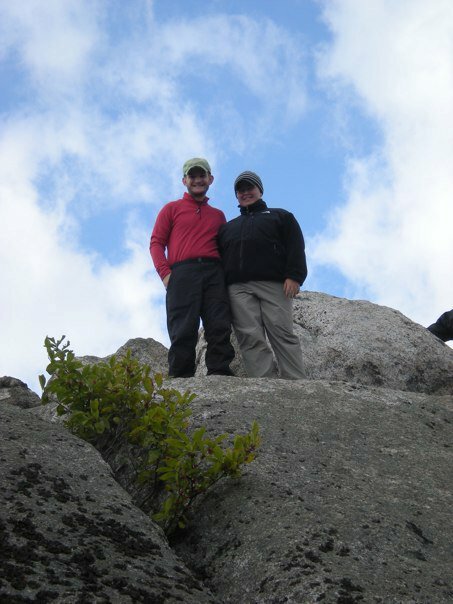 Melissa and I realized how great the AT was awhile ago, and therefore joined the AT Trail Conservancy. I just hope that the city capitalizes on it as much as possible, and realizes what a wonderful thing this truly is. So, yay Harrisonburg! This makes me proud to have an AT Trail Conservancy sticker on the back of my car. However, in sadder news; Josh and Jackie are moving away to Roanoke today. This is sucky. Adventures in the out-of-doors will still be possible, but will be a bit more difficult. Good Luck Kings! We will miss you guys a lot. Should I be worried about my readers? Should I be worried that the most popular blog post recently was titled “Camp Accident…”? You guys ate it up! Makes me think I should post news about horrible accidents more often. Just kidding, I love you guys. Thanks for reading! I was sitting in the FAC Shack (which is what we call the health center that First Aid Consultants such as myself hang out in) when I noticed a horrible accident take place. It appeared our patient had broken his arm! The other caregiver and I quickly leapt into action. We stabilized the patient’s arm, and then immobilized it with a well constructed splint. To make our patient comfortable, we slung the arm in a sling improvised from a bandana. The patient was then placed comforably in bed, where he was allowed to recuperate. Doesn’t our patient look happier now that we’ve worked on him? 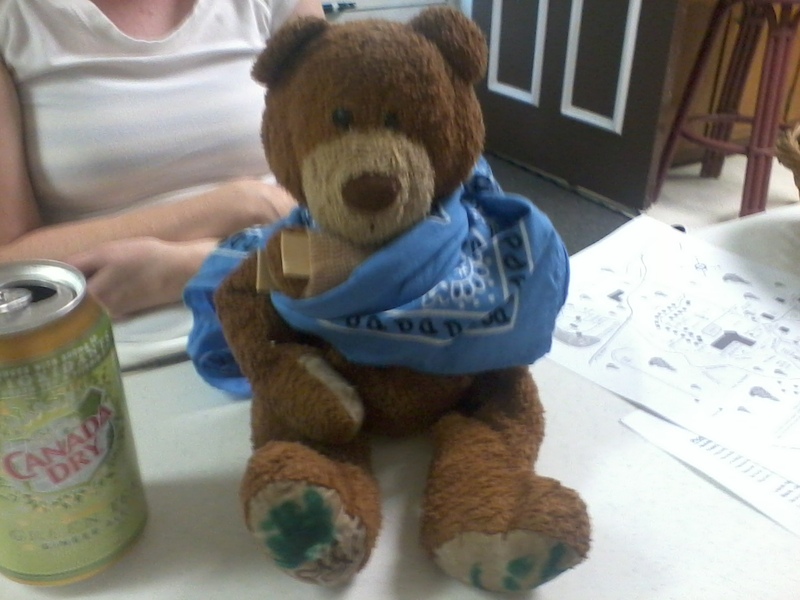 The camp nurse’s daughter Emmy and I got bored…and this was the result. Melissa was thrilled too! New state, with some weird stuff going on. Not saying that where I live has all the answers either, but here are some differences. The Roads: They live up to their reputation. PA roads are either wonderful or (more usually) abysmal. There have been times when I’ve been afraid that the wheels will fall off the vehicle. I-81 up to about Harrisburg is great, and newly paved. The rest of it…not so much. Ironically, the closer you get to New Jersey the worse the roads become. I’m not sure what that means. The Construction: There is literally construction on every mile of every road in PA. It seems that PENNDOT is the largest item in the PA state budget, and is probably the number one employer. I’ll bet their largest expense is those orange marker barrels, because I’ve seen literally thousands of them. The Appalachian Trail: AT thru hikers call PA “Rocksylvannia.” Now I see why. Not only is the AT in PA more rocky than the AT in VA, but it is IMPRESSIVELY more rocky. We barely touched the ground through most of the 10 miles we walked. There was one place where there was a 6 foot vertical down climb (no joke) in the middle of the trail. Giant Food Stores: We really don’t have any of these back home…well, I guess we have Martin’s, and they are owned by the same company, but we still don’t have Giants. Up here they are everywhere. It seems that once you cross the Mason-Dixon line, Giant replaces Food Lion and WaWa replaces Sheetz. Poison Ivy: Poison Ivy grows by the ton here. If there was a legitimate agricultural use for poison ivy, I think PA would be in a great economic place. I wonder if we could extract the oil from this evil plant and use it to power cars? Well, we are at camp. Which has been quite fun so far. Allow me to give you an update. The drive up was not nearly as bad as we expected. The car was packed solid, the day was hot (probably mid 80’s, and really humid), and our car is really old. We were honestly worried the car wouldn’t make it. We also expected about a 4.5-6 hour trip. In view of our heavily loaded, old car, we traveled at a steady 65 mph north into PA.
We still arrived after 3.5 hours of driving, just in time for lunch. We then got checked into our room, which was smaller than we expected. Still, we have our own bathroom, and we didn’t really bring that much stuff, so we should be fine. We have a double bed and a set of bunk beds; we promply turned the top bunk into a gear loft. We took part in adventure training starting the evening we arrived. 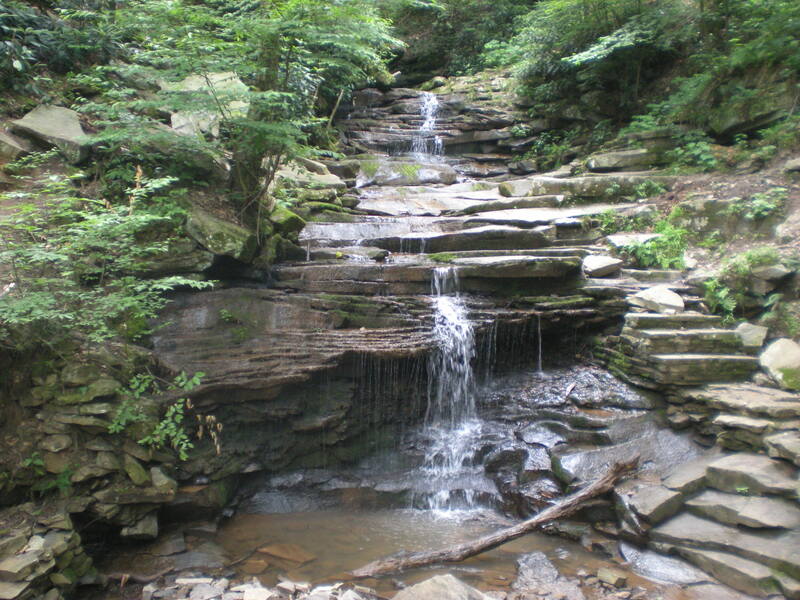 We’ve been pleasently surprised to discover that the Appalachian Trail runs about a 1.5 miles from the camp; there is an impressive climb to get there though. 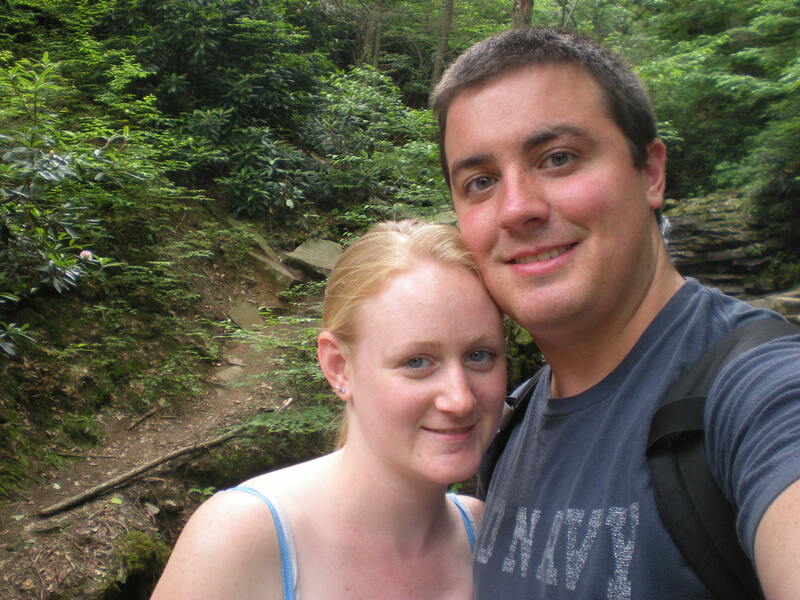 We were able to experience 10 miles on the AT the day after we arrived. The past week and a half have been wild ride of introductions, training, and new friends. We just got our first week of real campers today. 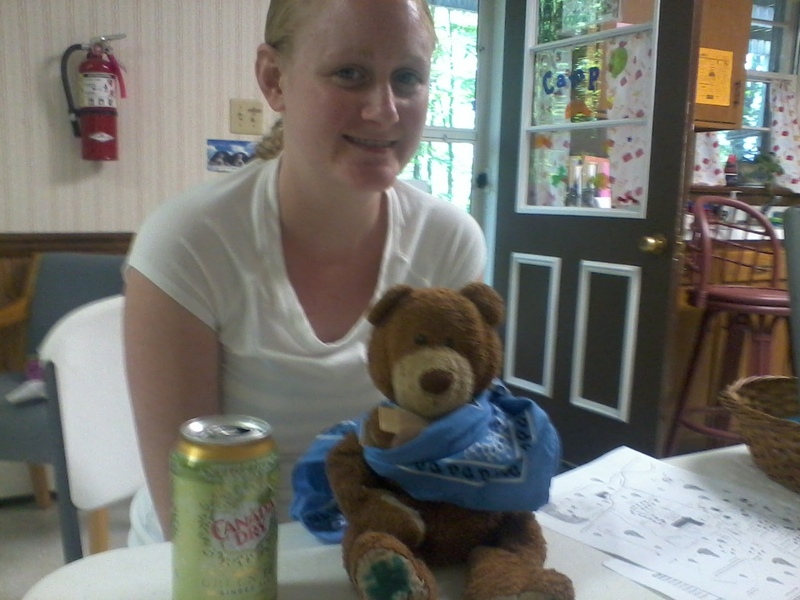 Melissa has been kept busy as a camp pastor. I’ve also been kept busy as a first aid consultant. We hope to continue our adventures while we are here in PA; I’ve been asking around to find the local climbing areas and hiking areas. There are a few state parks nearby that I think need some looking into.